"Produced as a propaganda short during WWII, warning audiences not to believe anti-American propaganda. 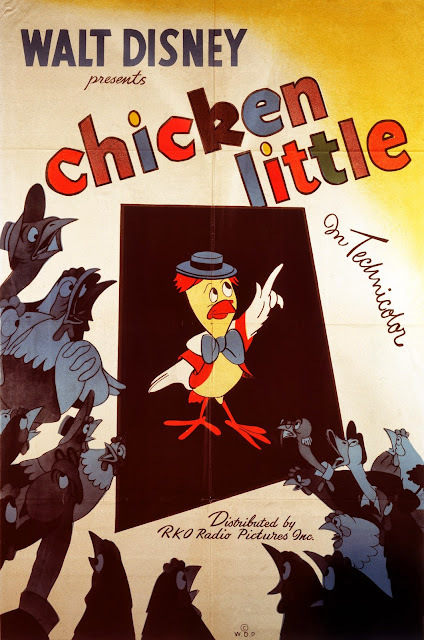 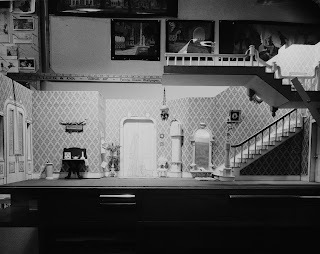 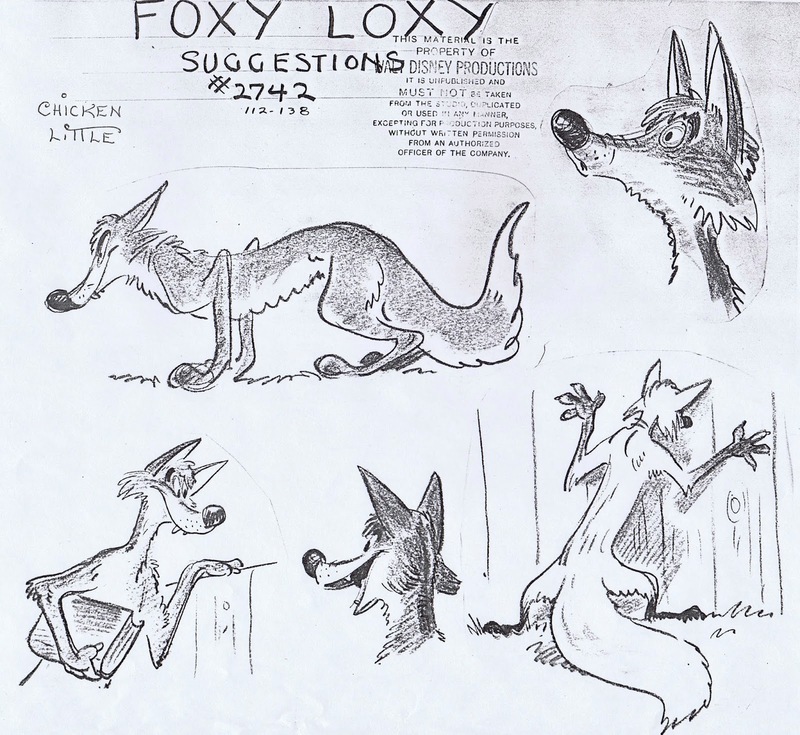 Originally the film was to have had more direct references to the war: Foxy Loxy would have read from "Mein Kampf"; and the chicken's graves would have been marked by swastikas. 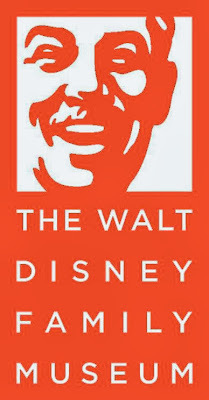 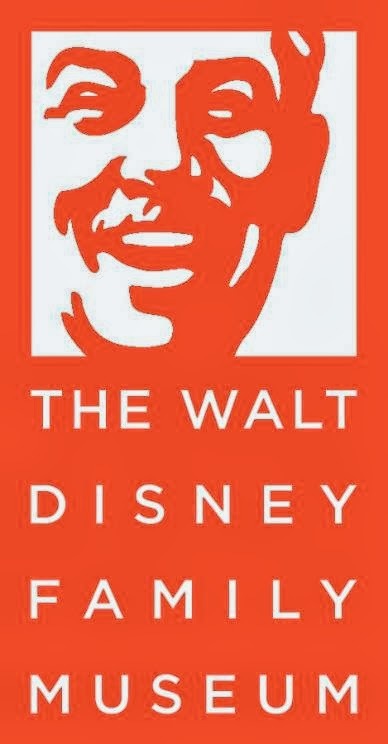 But Walt Disney decided to keep the film generic so that it would not become dated after the war". 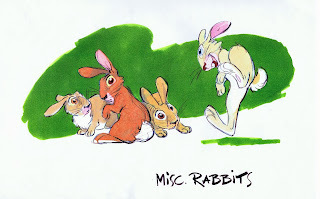 The film's concept is brilliant, and the animation is top notch. 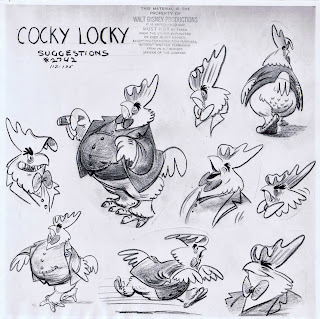 I don't know who drew the model sheets, but the animators used those exact designs, no adjustments were made. 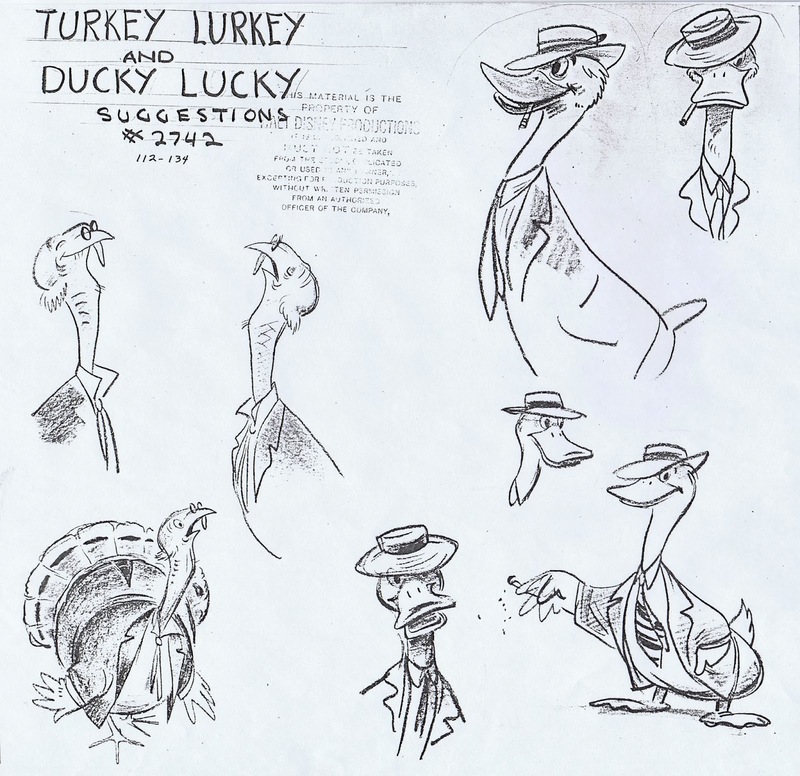 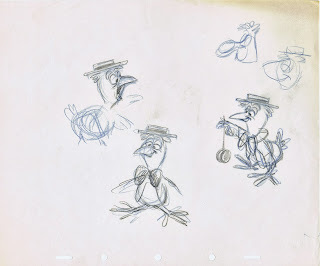 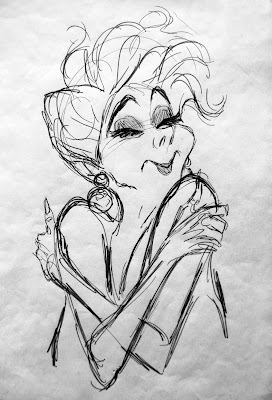 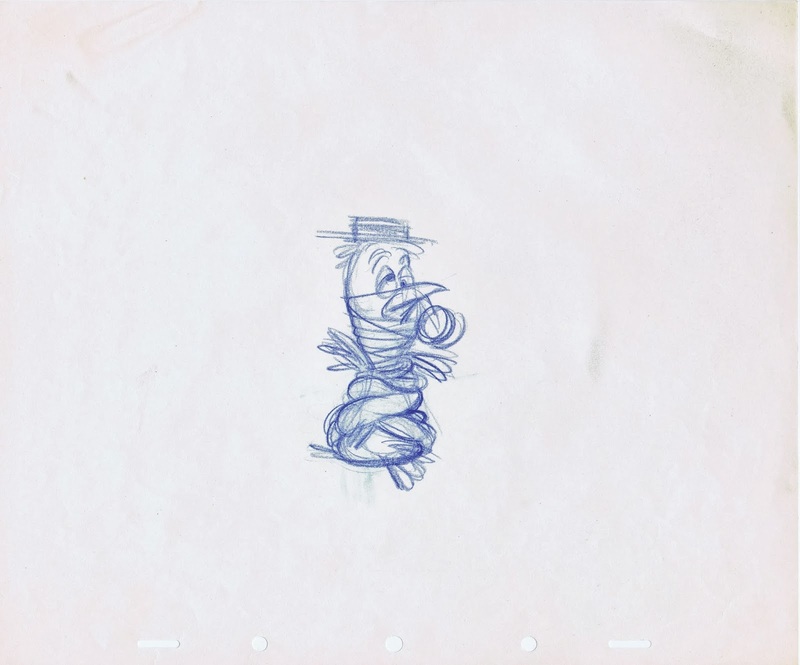 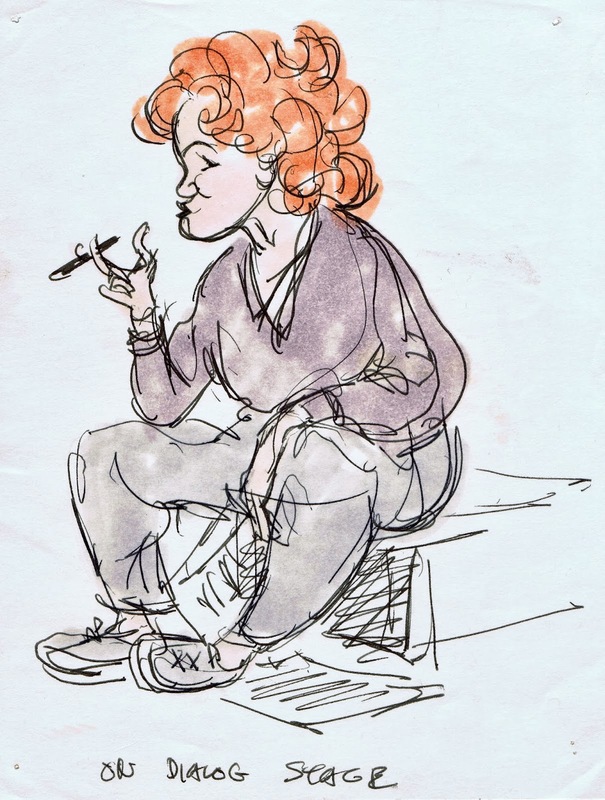 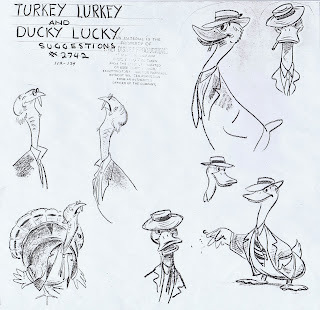 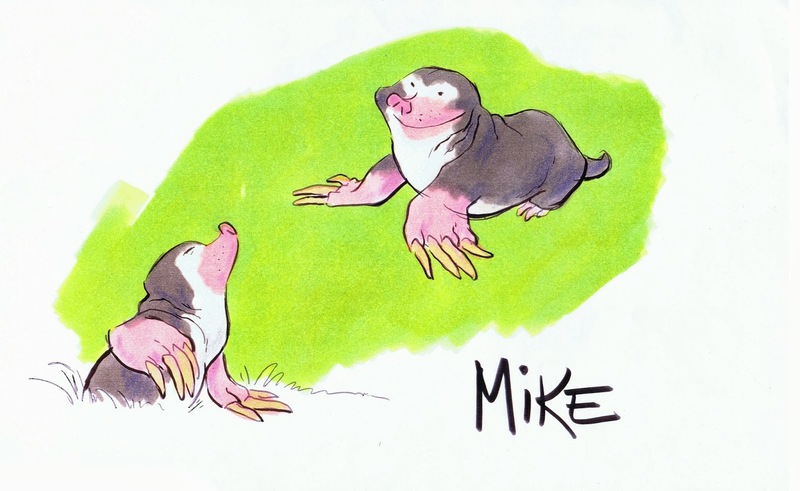 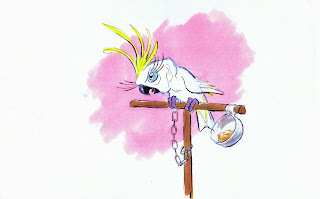 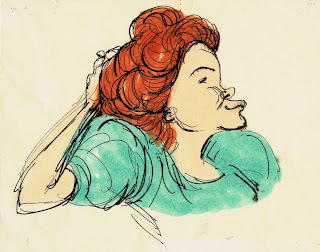 Milt Kahl focused on the main character, who is playful, not very smart and likely to believe anything he is told. 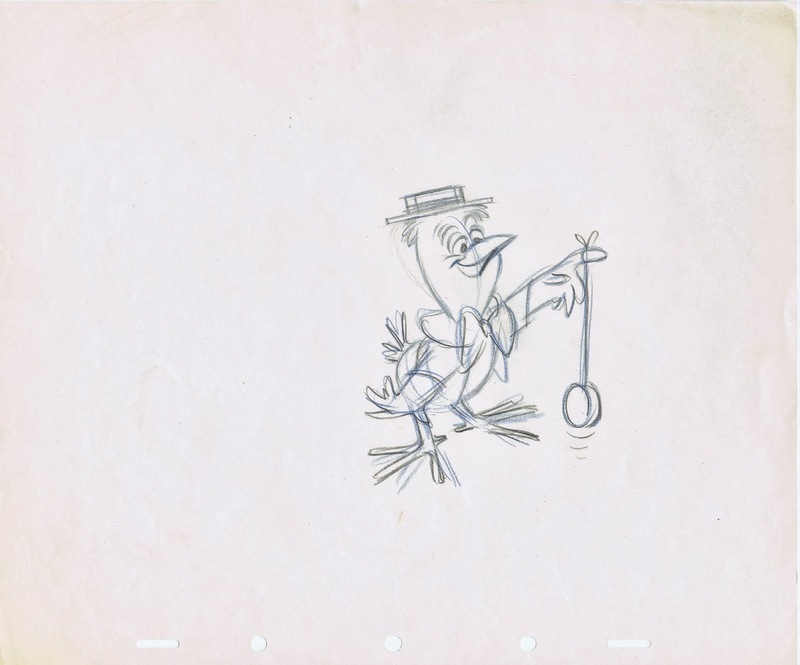 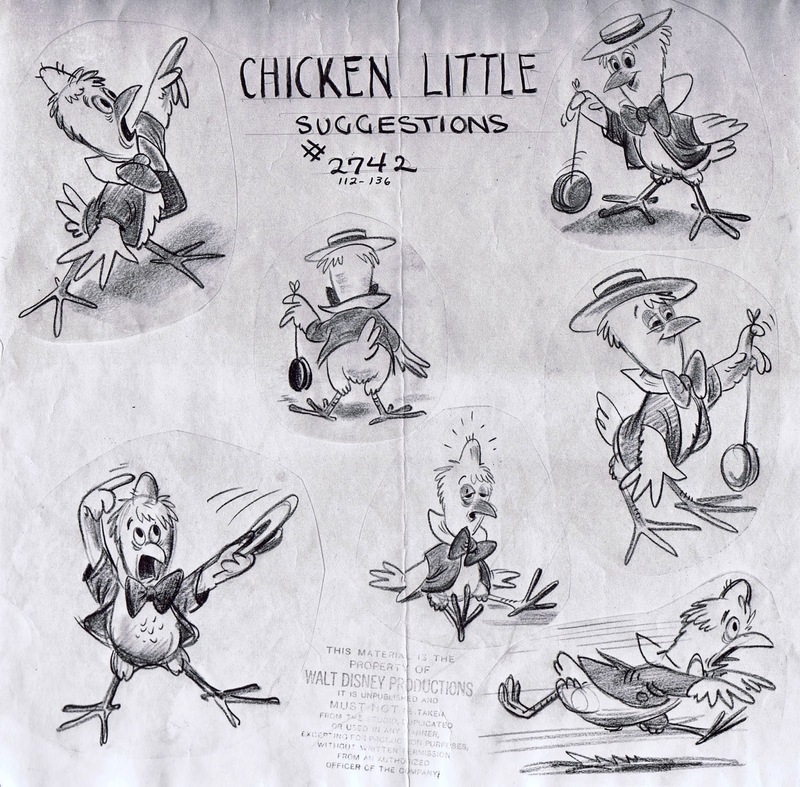 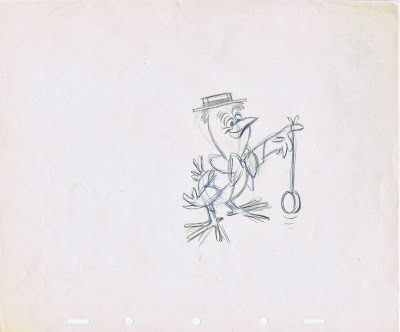 Here is the rough model sheet for Chicken Little followed by Milt's design explorations. 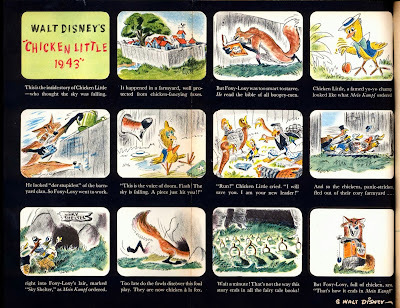 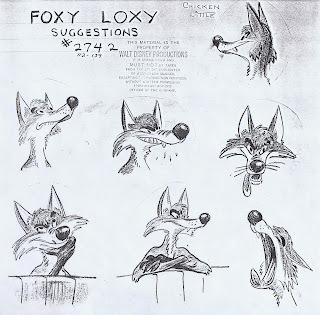 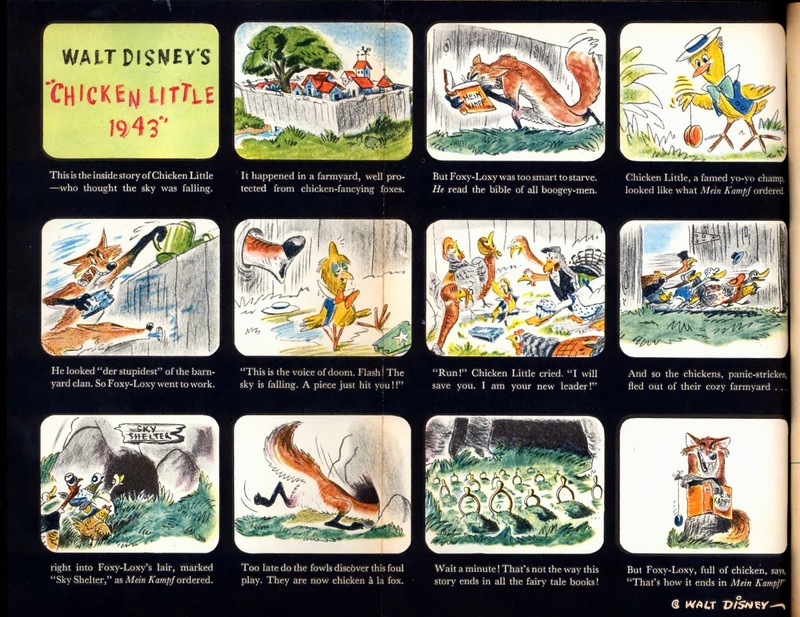 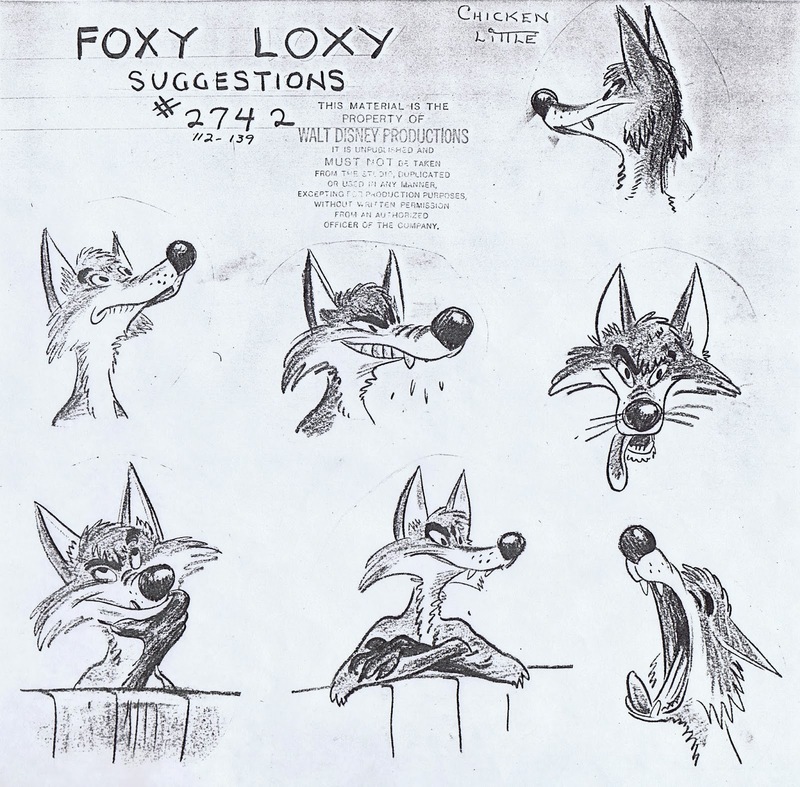 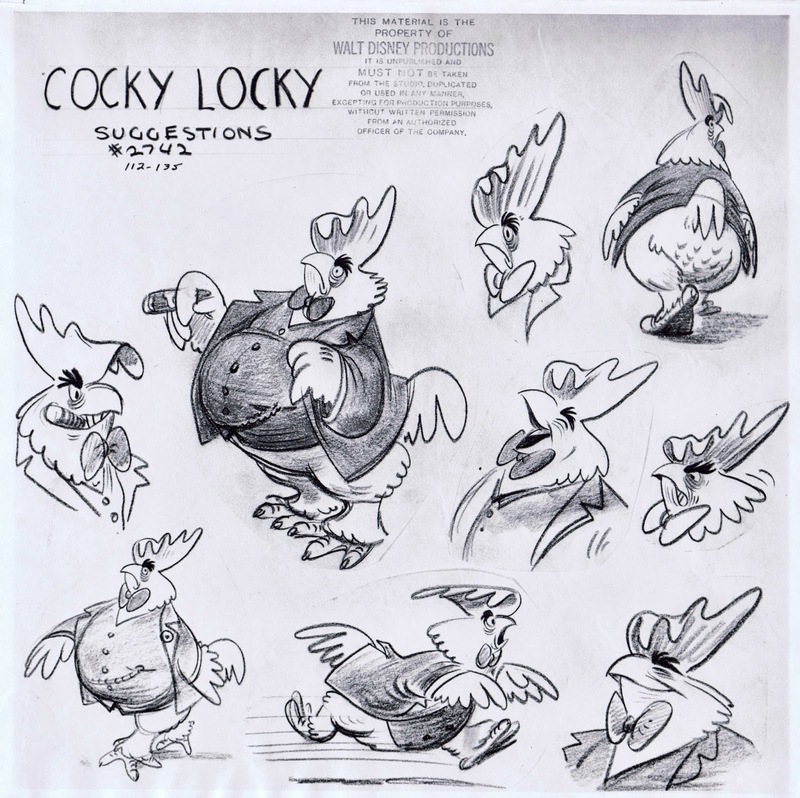 More character model sheets, including the villain Foxy Loxy, animated brilliantly by Ward Kimball. 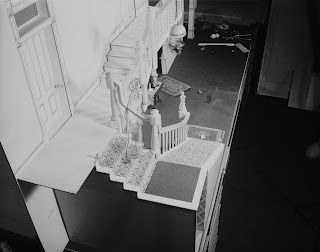 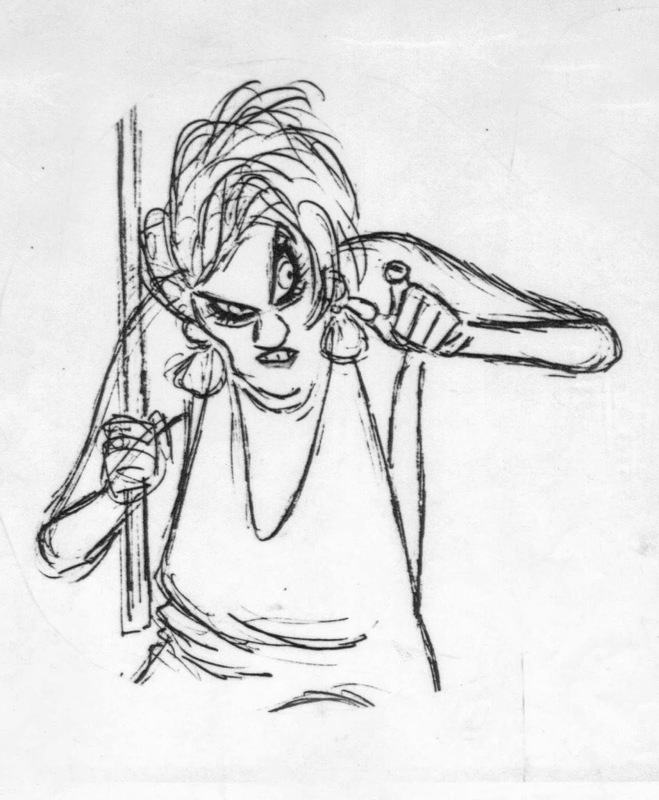 A very brief version of the storyboard. 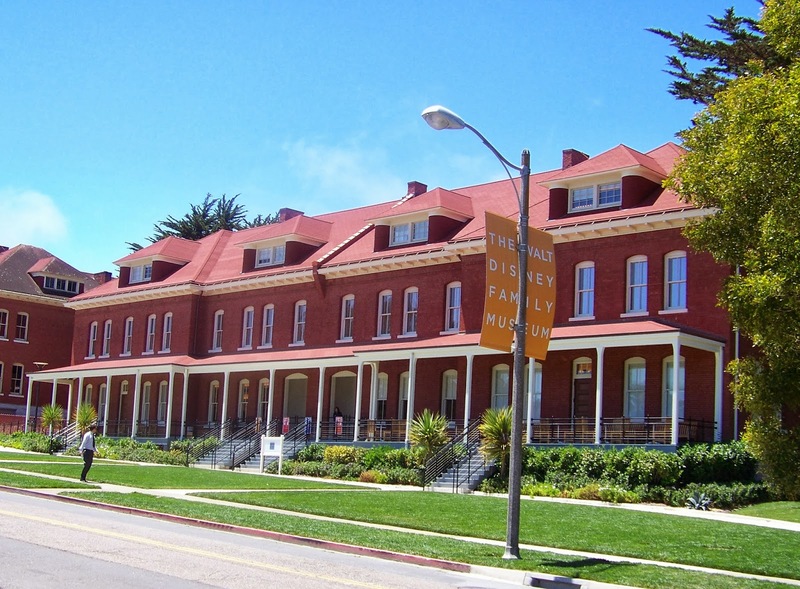 There is no place like the Walt Disney Family Museum anywhere. 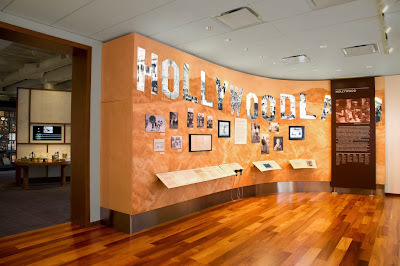 It opened its doors almost four years ago in San Francisco, and from the moment you walk inside, you know that you are in for a special experience. 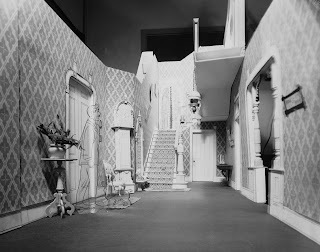 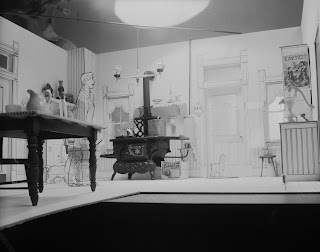 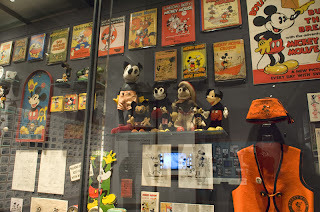 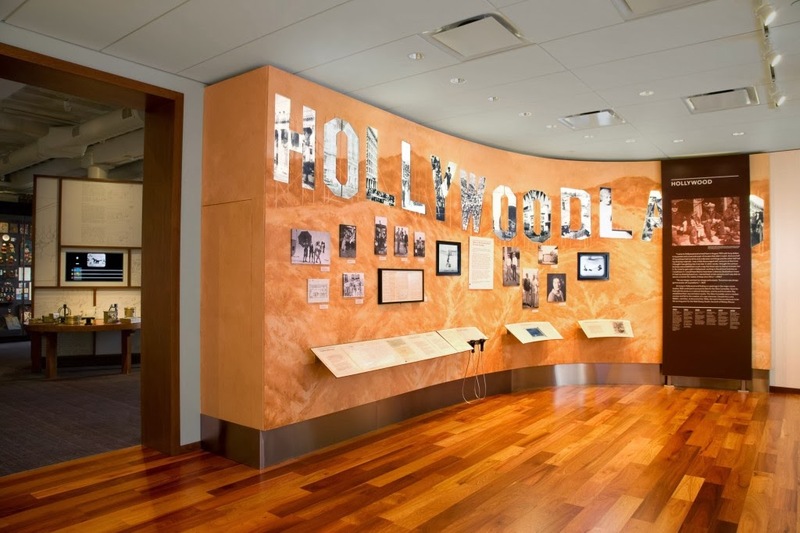 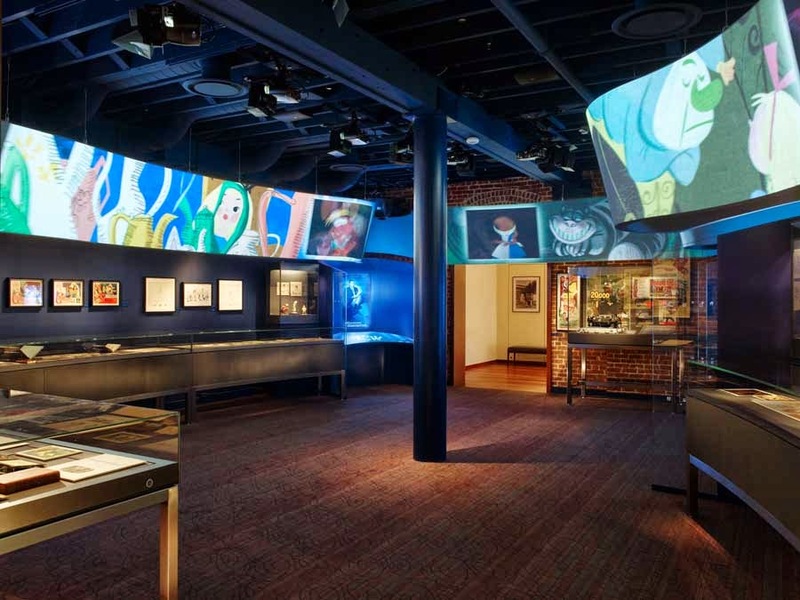 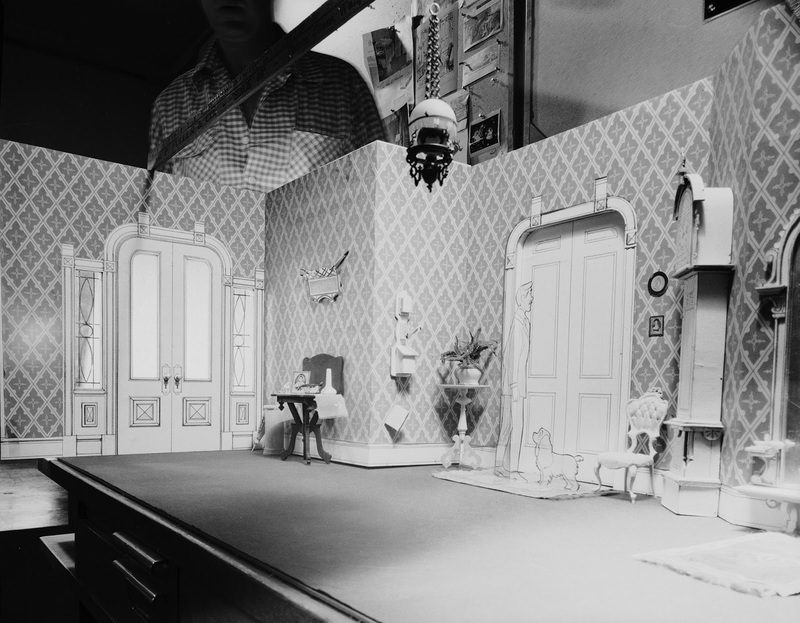 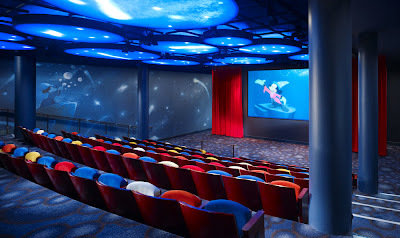 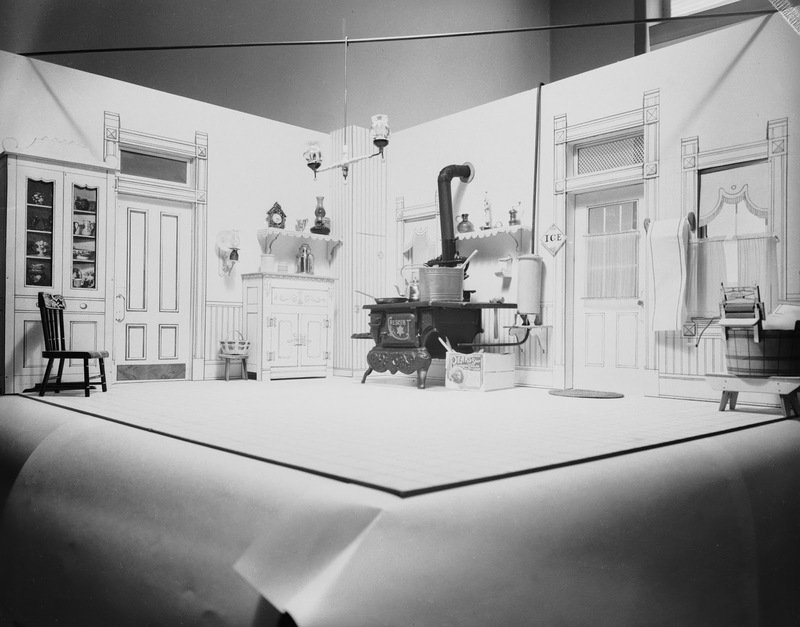 Amazingly designed showrooms are filled with animation art, objects, documents and interactive screens that help to tell the story of Walt Disney. During my first visit I was literally overwhelmed by the magnitude, the beauty, but also by its integrity. This is a labor of love only the Disney family could have championed. 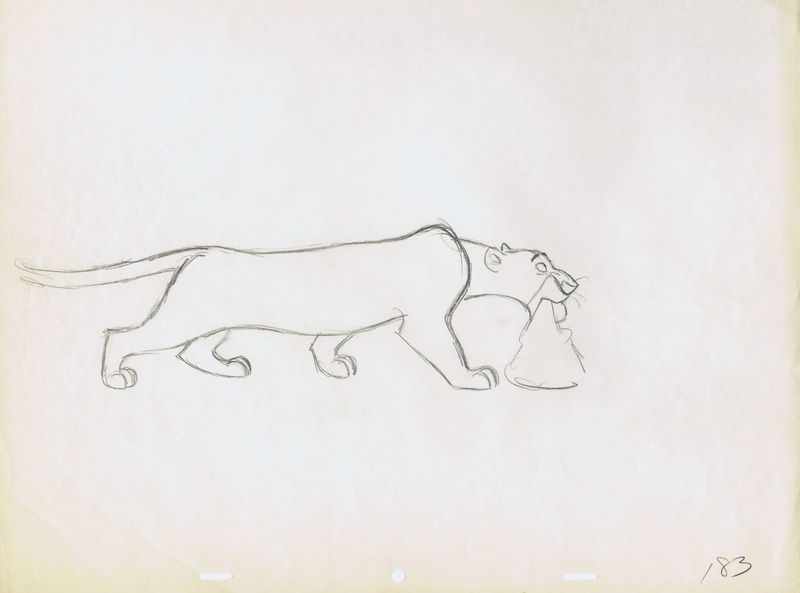 I had the privilege to play a part in several presentations at the museum, just last Saturday art director Carol Police and myself gave a demonstration on the visual development for the classic film "Bambi". It really is difficult to justly describe the vibe and the magic of this place. 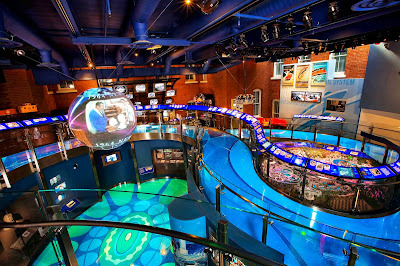 You just have to go, see it for yourself and get inspired. 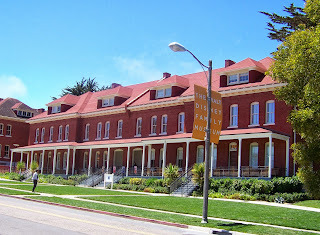 Become a member and receive their lovely WDFM magazine. 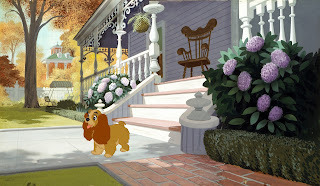 The following images are from the internet, the copyright is with their respective owners. 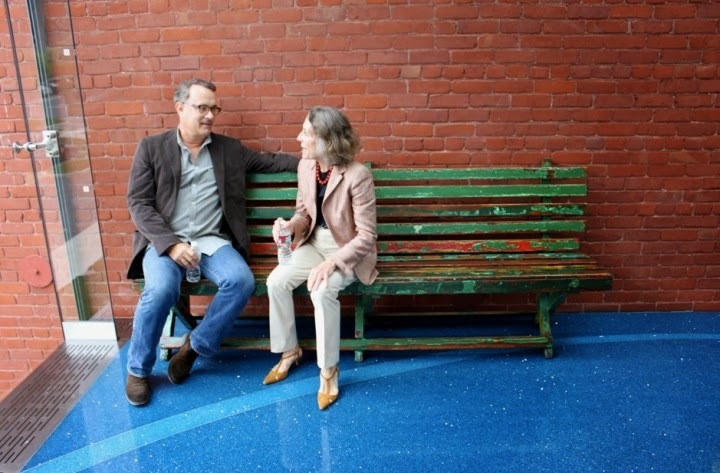 Tom Hanks stopped by the museum to get a better idea of who Walt Disney was, the man he would play in the upcoming movie "Saving Mr. Banks". Here he is chatting with Walt's daughter Diane Disney Miller. 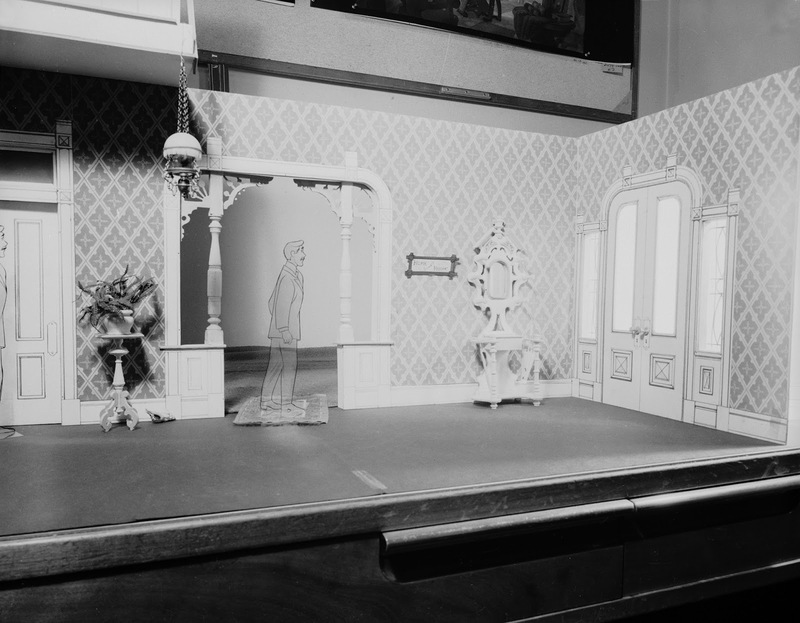 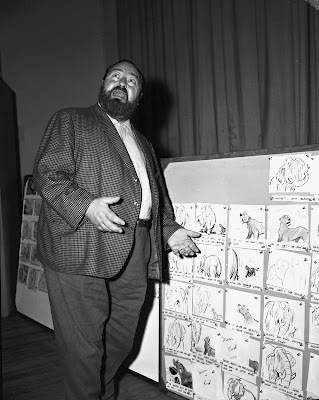 That's character actor Sebastian Cabot in the photo, standing in front of story sketches by Vance Gerry. 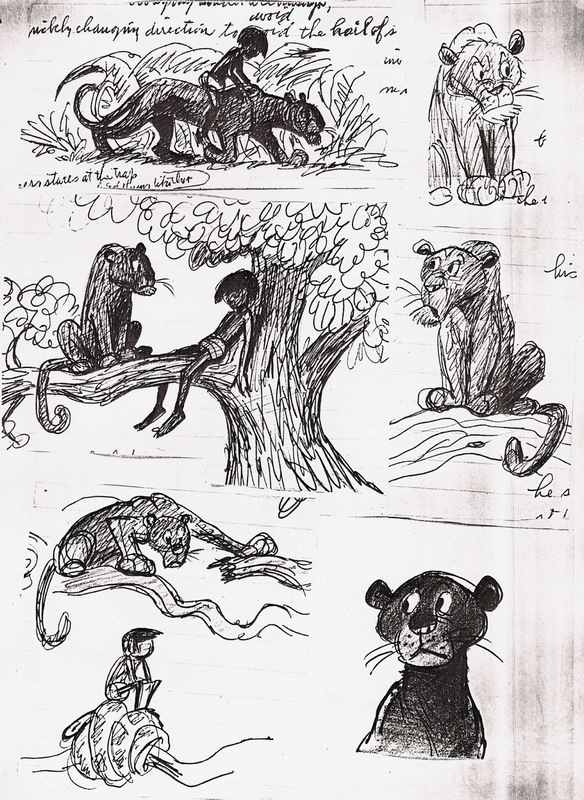 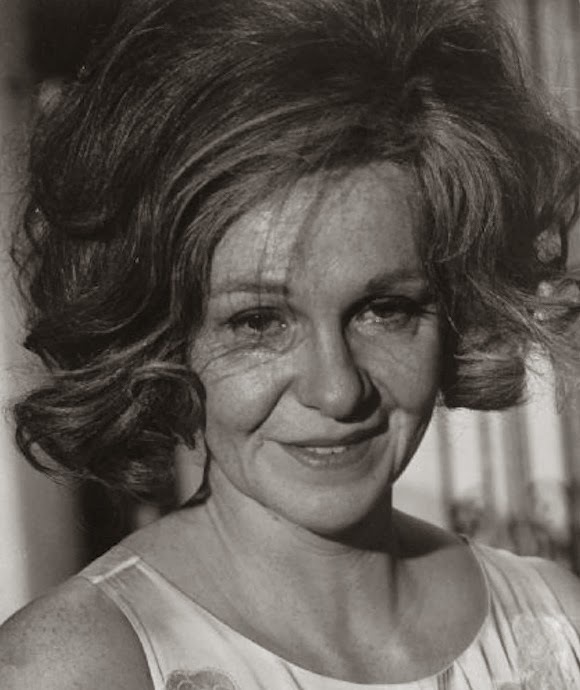 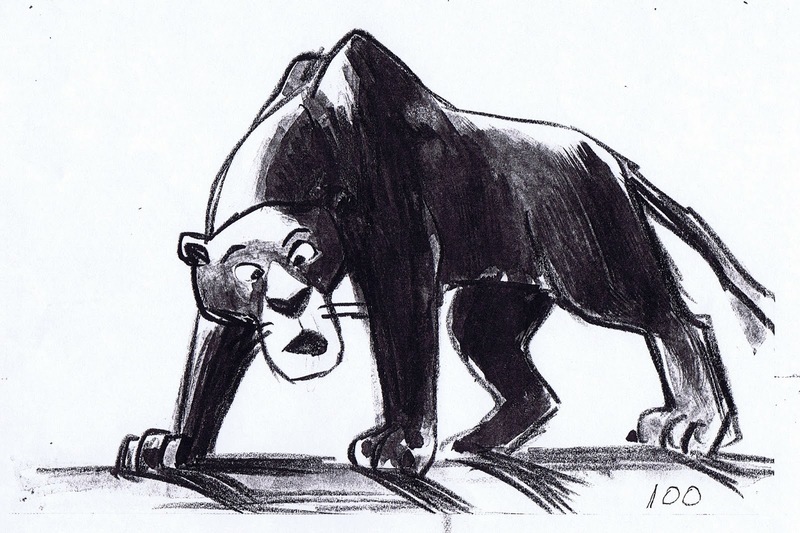 Cabot voiced the black panther Bagheera in The Jungle Book. 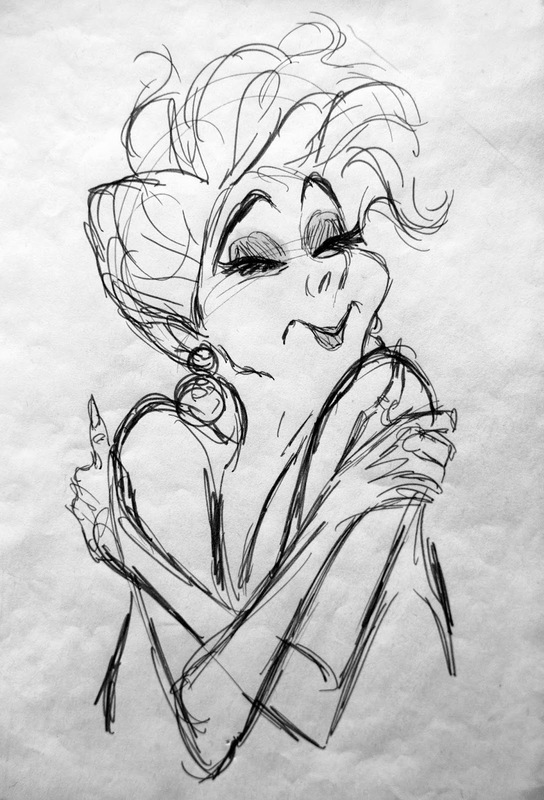 And beautifully so! 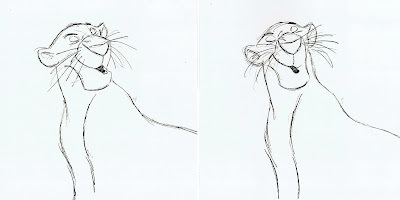 -I love his ernest personality, which strongly contrasts Baloo, who just wants to have a good time. 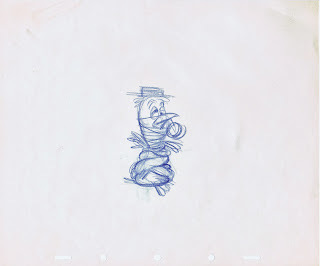 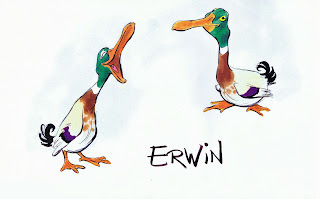 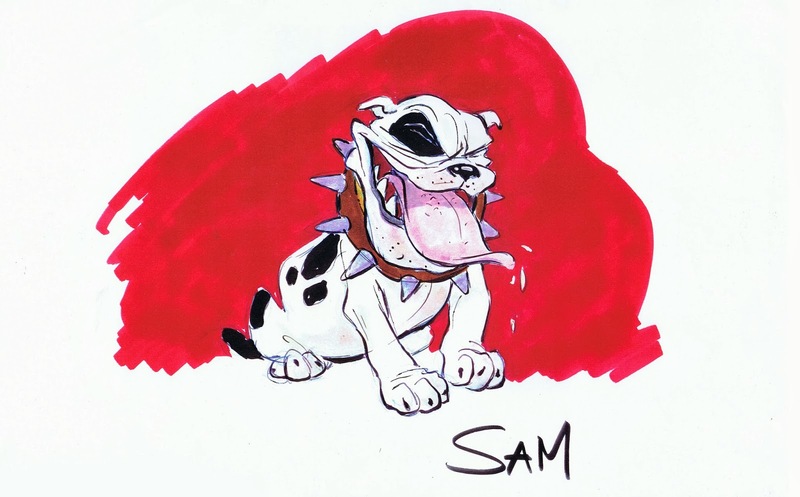 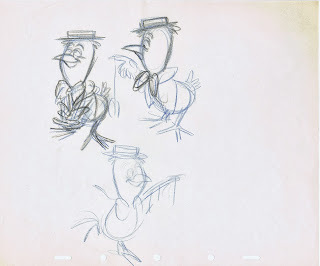 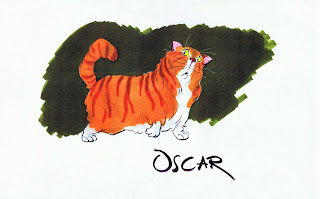 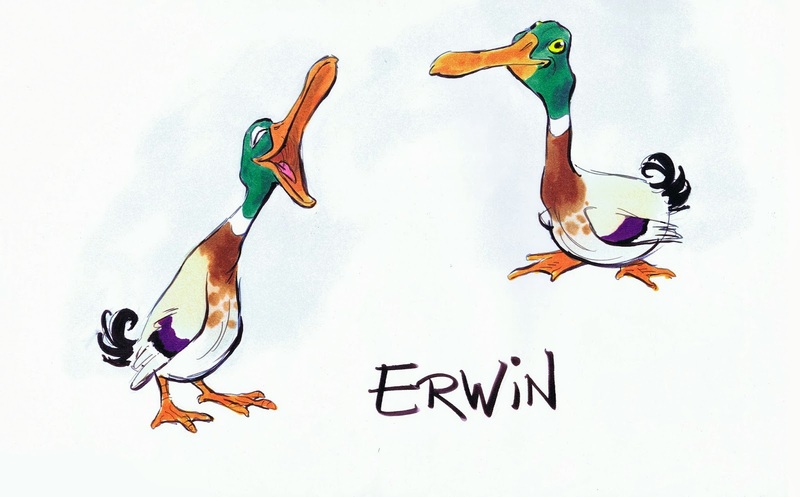 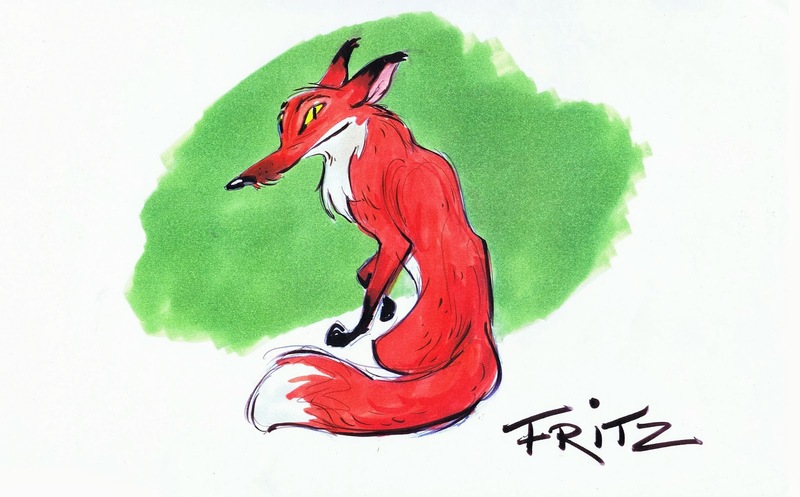 -The way Milt Kahl designed him with an ultimate economy of lines. 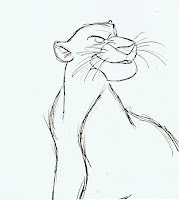 Pure feline elegance! 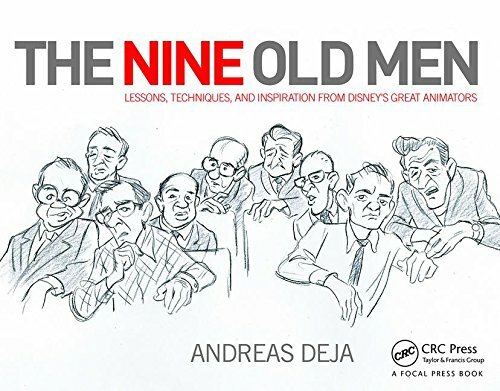 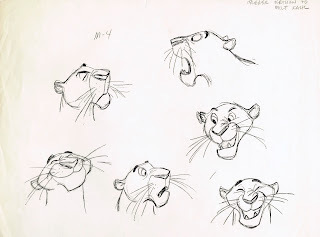 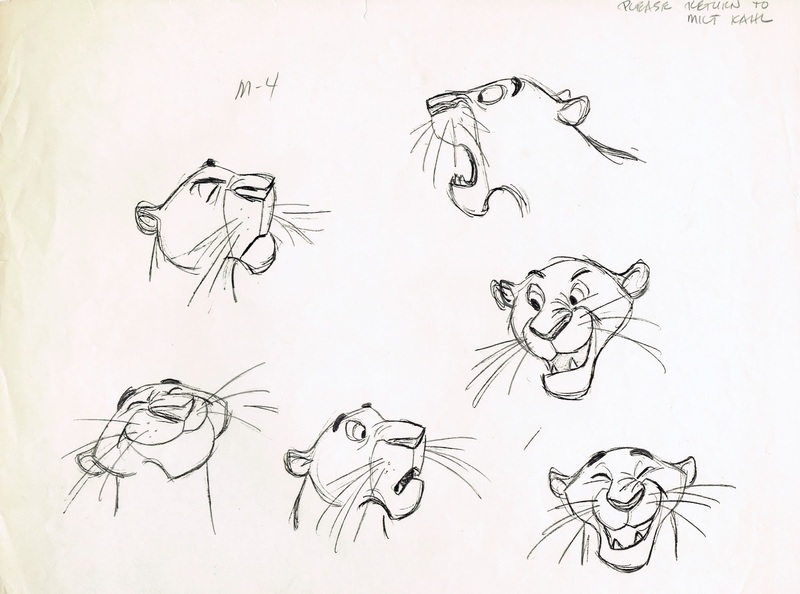 -Most of his personality scenes were animated by Milt ( Bagheera pushing Mowgli up a tree) and Ollie Johnston (the night time conversation between the panther and Baloo about how to get Mowgli back to the man village). 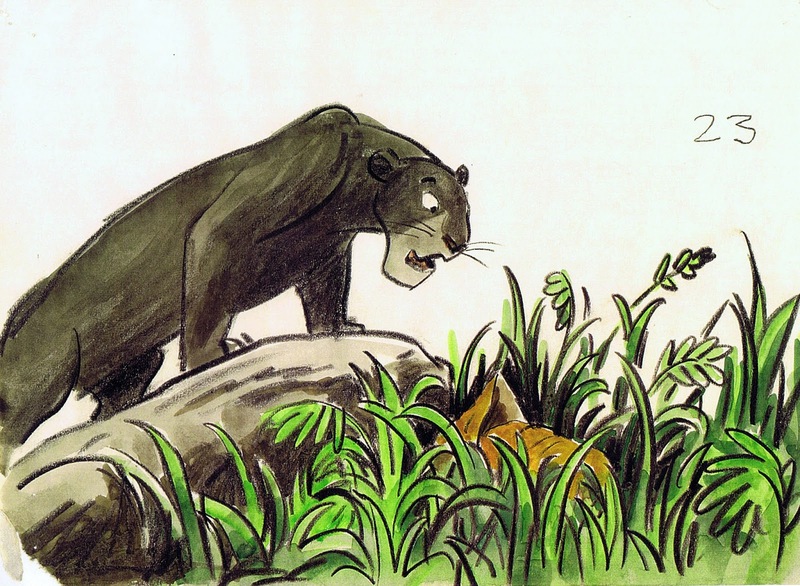 Bagheera is like your dad, always sensible and concerned, while Baloo is like your crazy uncle. 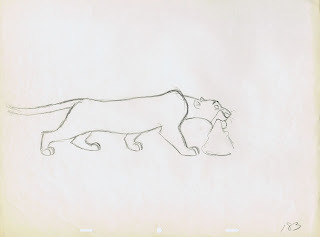 It is obvious why Mowgli wants to hang out with the bear. 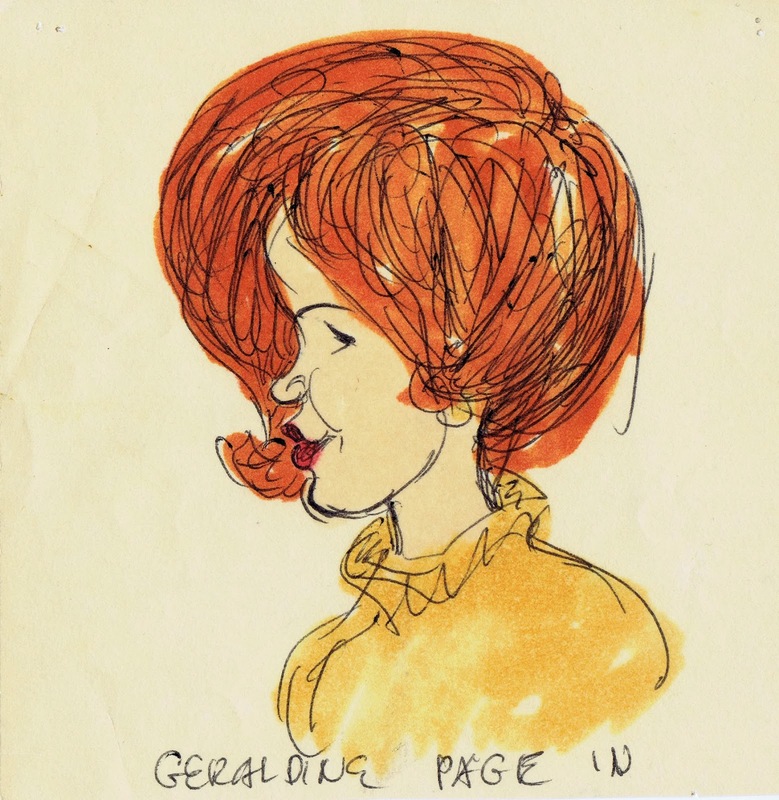 Bill Peet scribbled these terrific early character concepts, before eventually leaving not only the project, but the studio. 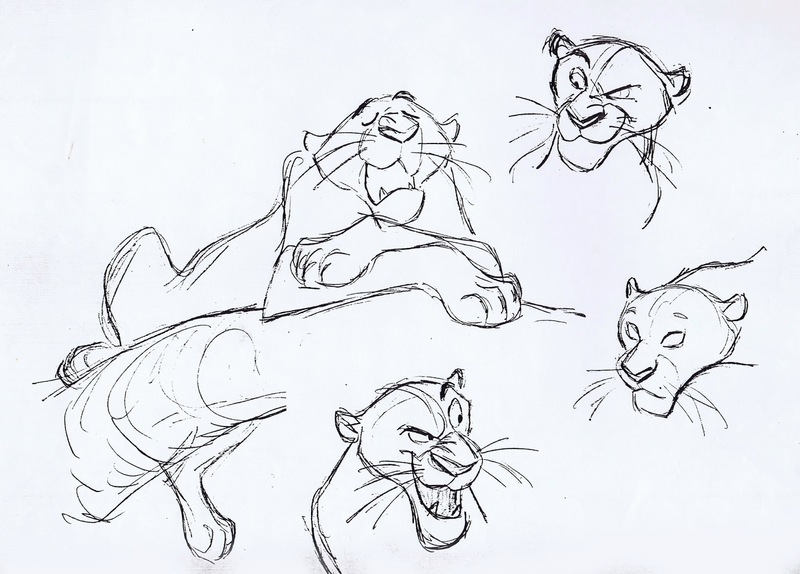 Story artist Vance Gerry continued working on sequences that involved Bagheera. 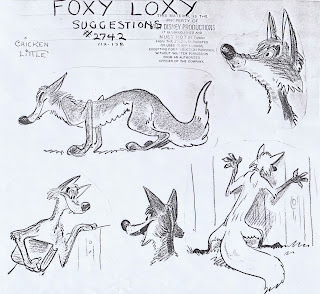 Here are a couple of his story sketches. 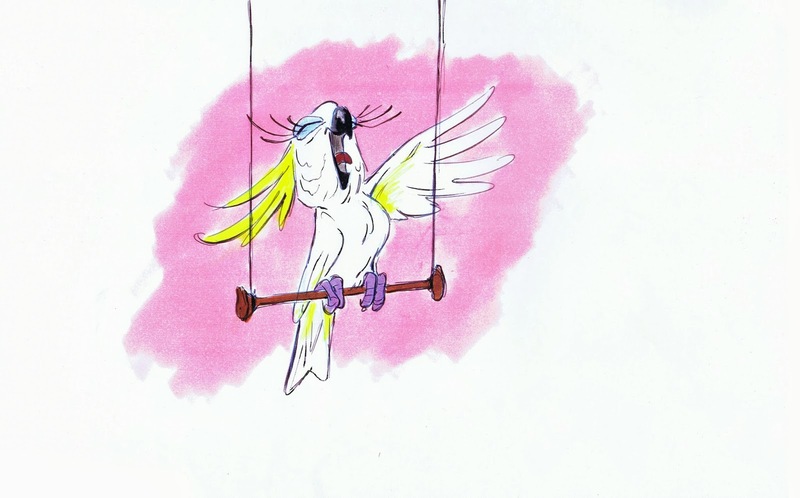 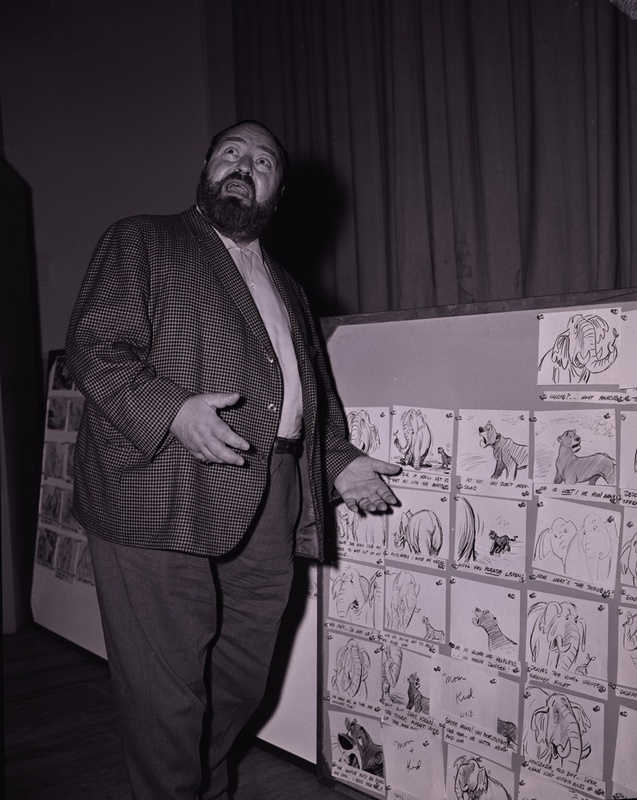 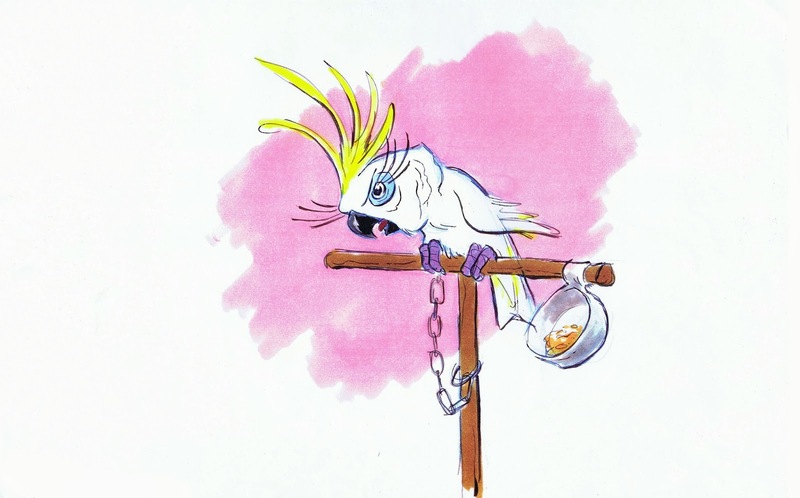 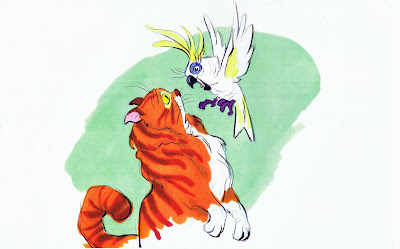 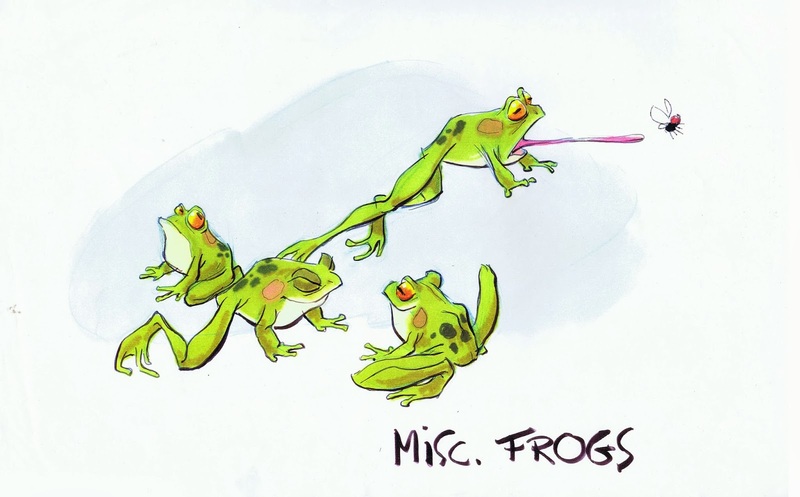 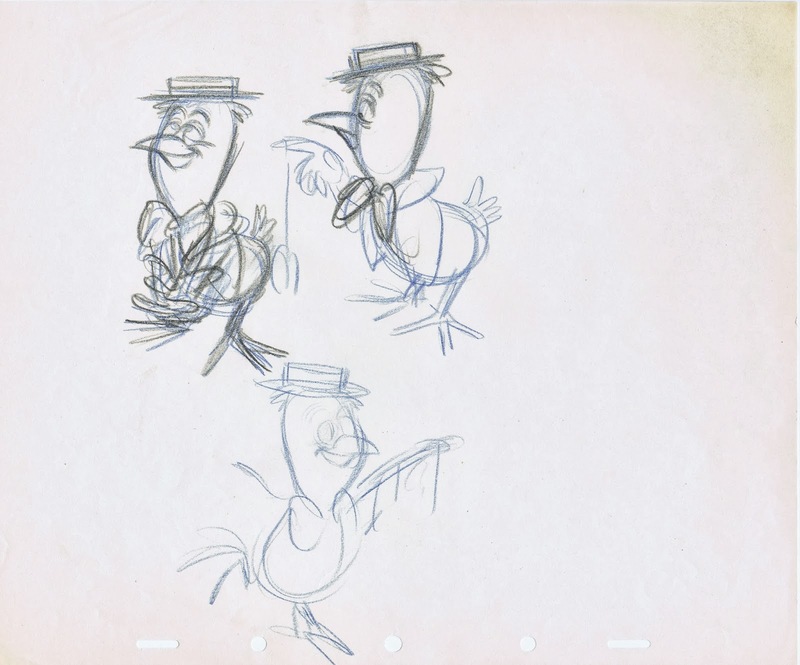 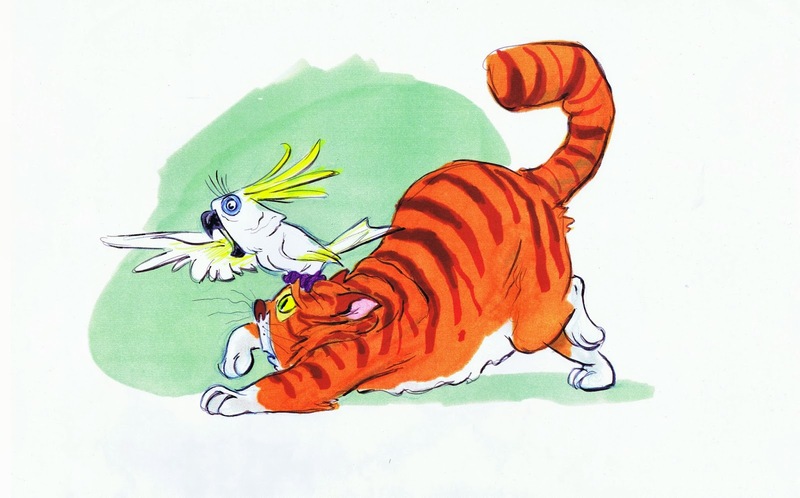 Milt Kahl researches design possibilities that would work with Sebastian Cabot's voice recordings. 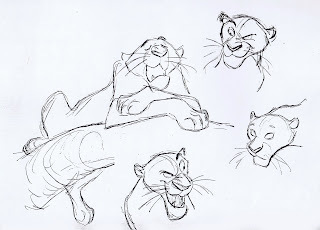 At one point Bagheera apparently had colored pupils, and his upper jawline was defined. 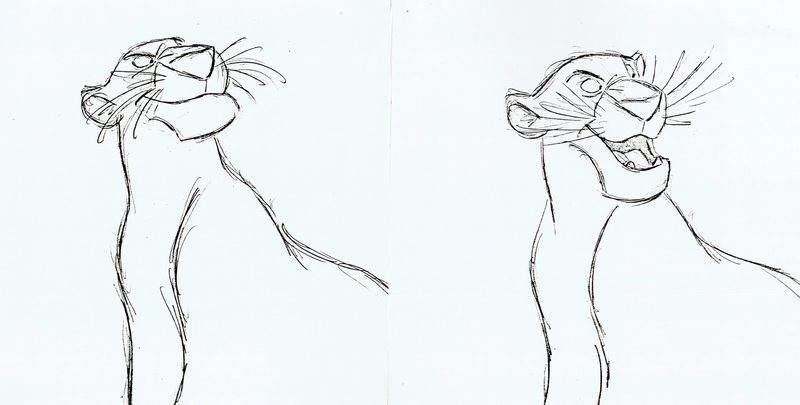 The final design doesn't show that jaw/ cheek line. 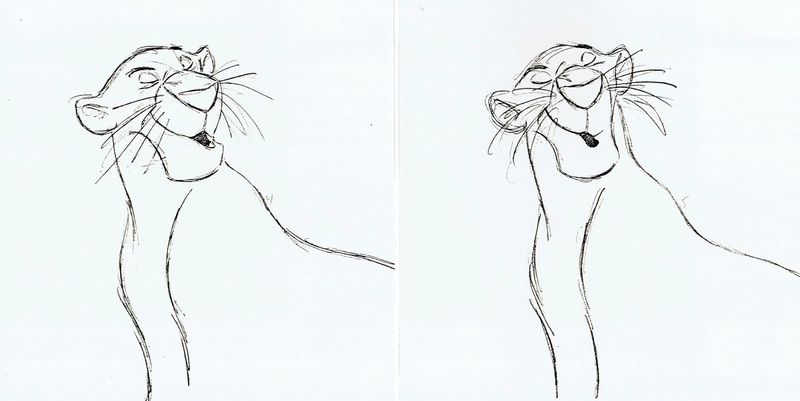 As I said, simplified to perfection. 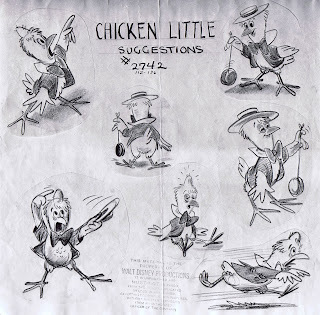 A few key drawings, done by Milt for Ollie Johnston scenes. 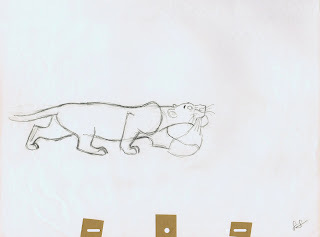 After Baloo got Mowgli into trouble, he screams for help. 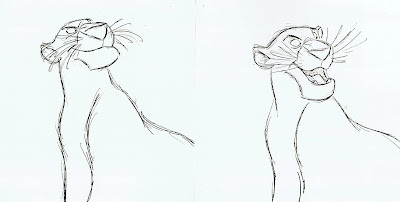 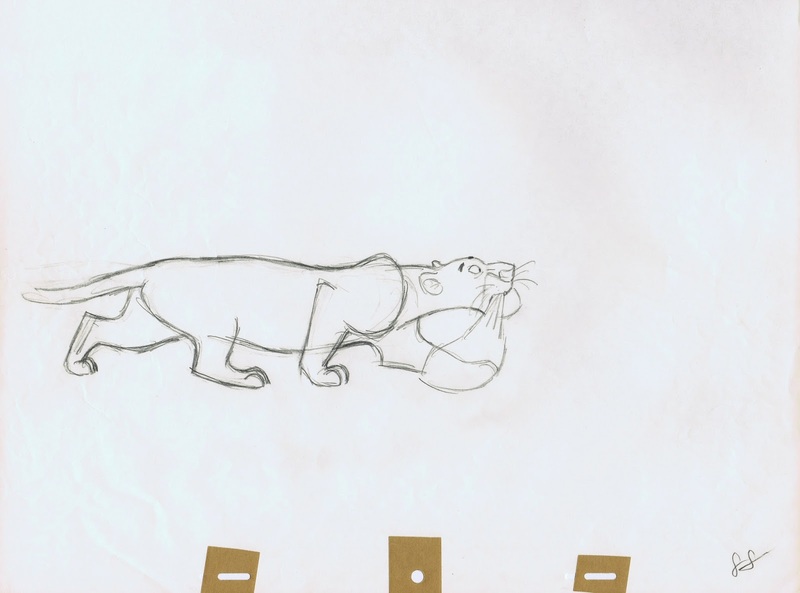 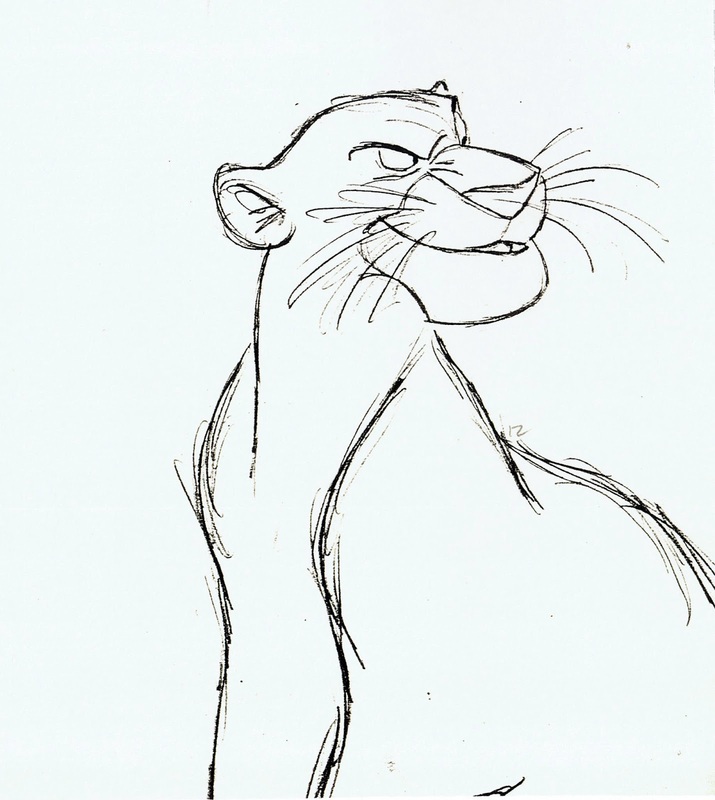 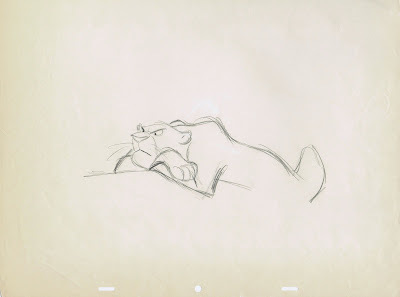 This rough Kahl scene represents Bagheera's initial reaction: "Well, it happened!" 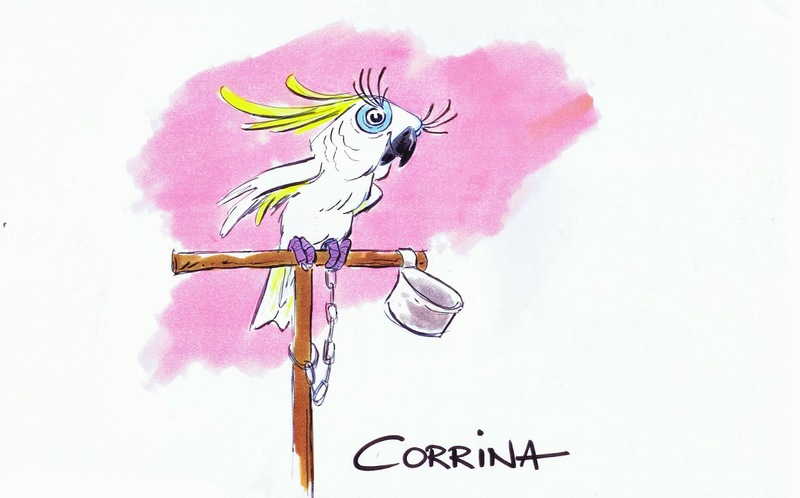 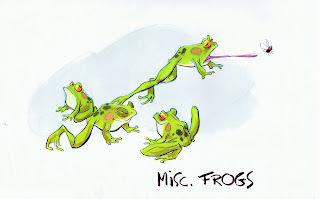 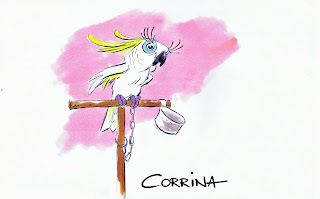 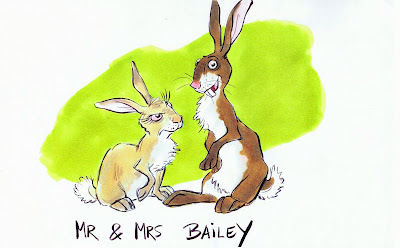 Simple, full of personality, gorgeously drawn and animated!